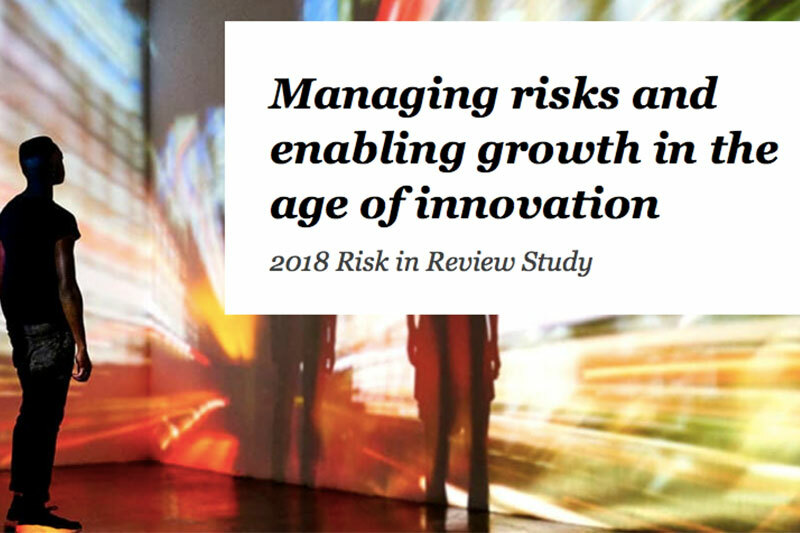 Seventh annual PwC report shows how risk leaders around the world are effectively addressing challenges that accompany innovation. half (60%) of those polled manage innovation risk very effectively or somewhat effectively – a cohort of the survey population which the study labels as ‘Adapters’. The survey sheds light on the current landscape of innovation and shows how risk management practices need to change if organisations are to capture value from new technologies and novel initiatives. brings (58% versus 18% respectively note significant value). Notably, Adapters are also two to three times more likely to express confidence in their risk management programme’s ability to effectively manage risk from new technologies including artificial intelligence and the Internet of Things than their less effective peers – and more likely to expect revenue growth. 1. They engage early and often across the innovation cycle. Adapters are twice as likely as Non-Adapters to advise on innovative activities before the planning stage. 2. They use multiple actions to address their risk exposure from new initiatives. Adapters more often use four or more actions ranging from revisiting objectives and strategy to sharing the risk than their less effective peers. 3. They adjust risk appetite and tolerances with frequency. Adapters adjust the risk appetite for all eight innovative activities listed in our survey, and most often when creating new products outside their core offerings and implementing new technologies. 4. They harness new skills, new competencies and new tools to support innovation. While 58% of Adapters report that they are bolstering their risk management capabilities by adding new skill sets, just 39% of Non-Adapters plan to do this. 5. They monitor and assess effectiveness of risk management in multiple ways. 51% of Adapters use external parties to assess their risk management capabilities, while only 27% of Non-Adapters are monitoring their effectiveness in this manner. executives should be engaged throughout the innovation lifecycle to effectively identify, assess, and manage innovation risk.